These Black and White Stripes Luncheon Napkins will help you to set an elegant table setting, and will work with a number of party themes. Large party size package offers you plenty of napkins for the occasion. 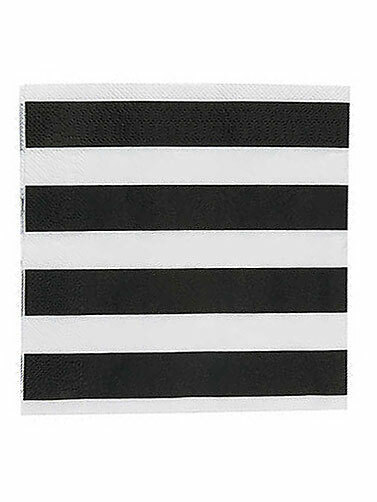 Black and White Stripes Luncheon Napkins measure 6.5"H x 6.5"W. 50 ct.